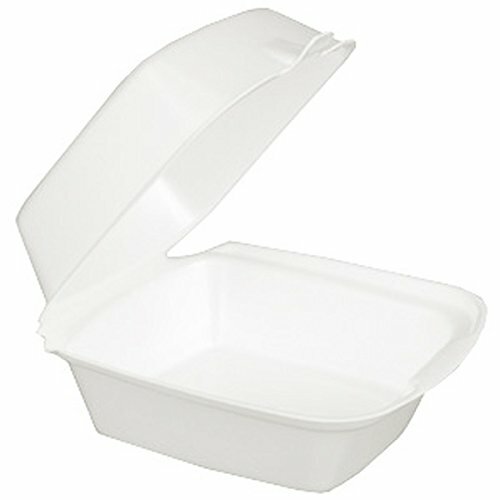 Dart 95HTPF3, 9x9x3-Inch Performer White Three Compartment Foam Container With A Removable Hinged Lid, Carryout Food Disposable Containers (100)Category: Dart Foam Hinged Lid"95HTPF3(100PCS)Dart 95HTPF3, 9x9x3-Inch Performer White Three Compartment Foam Container With A Removable Hinged Lid, Carryout Food Disposable Containers (100)UPC715120139881"
Dart Carryout Food Containers, Foam Hinged, 1-Compartment, 200-Pack, 8 3/8 x 7 7/8 x 3 1/4Category: Dart Foam Hinged LidHelp keep your favorite meals on-the-go tasting extra fresh with Dart Carryout Food Containers, 200-Pack. 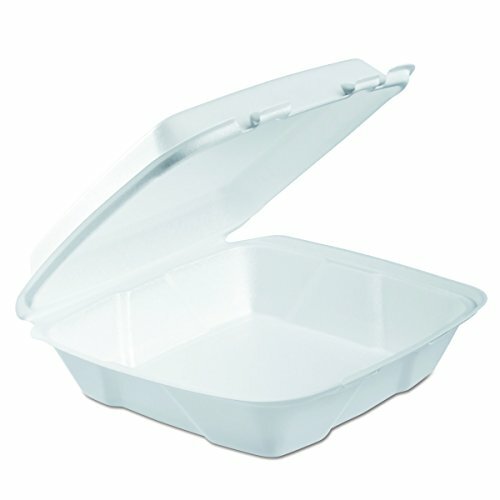 This item features one large compartment that has a secure closure to help prevent unwanted leaks and spills. 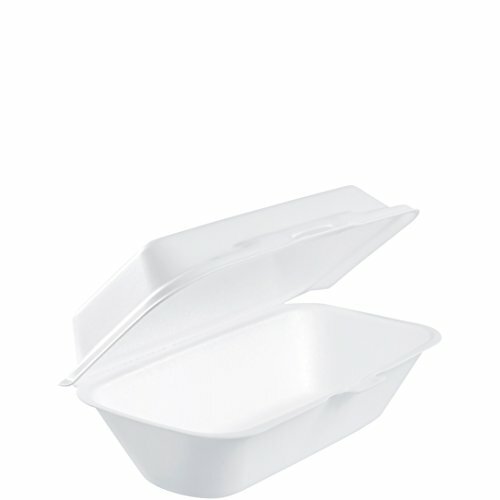 A performer perforated hinge allows the lid to be easily removed. 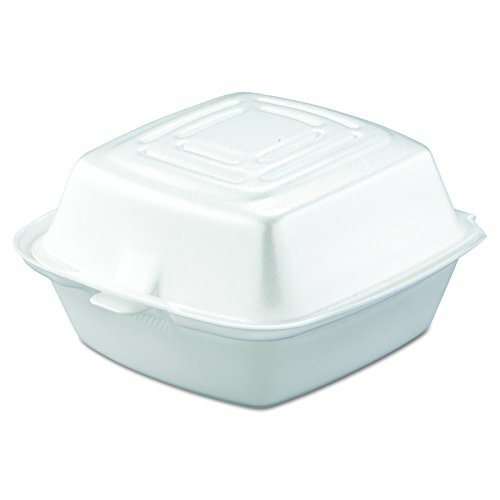 These high-quality foam food containers are highly insulated so they will keep your food hot or cold, even when in transit. 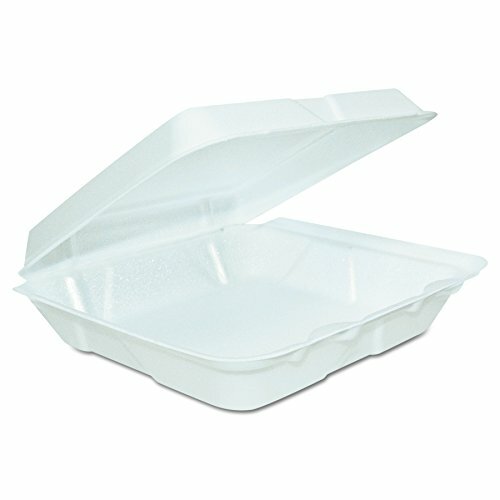 Dart 60HT1, 8x6x3-Inch Performer White Rectangular Sandwich Foam Container With A Hinged Lid, Carryout Food Disposable Snack Containers (50)Category: Dart Foam Hinged Lid"60HT1(50PCS)Dart 60HT1, 8x6x3-Inch Performer White Rectangular Sandwich Foam Container With A Hinged Lid, Carryout Food Disposable Snack Containers (50)UPC715120139768"
Dart Foam White 3-Comp Hinged Lid Containers, 100 count, (Pack of 2)Category: Dart Foam Hinged LidInsulated to accommodate both hot and cold foods. Non-absorbent. Stackable. 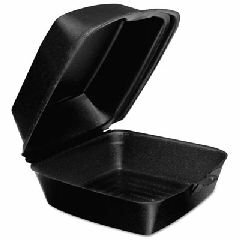 Easily removeable tear-away lid on a perforated hinge provides a convenient grab-and-go dining experience and provides an additional plate for meal sharing. 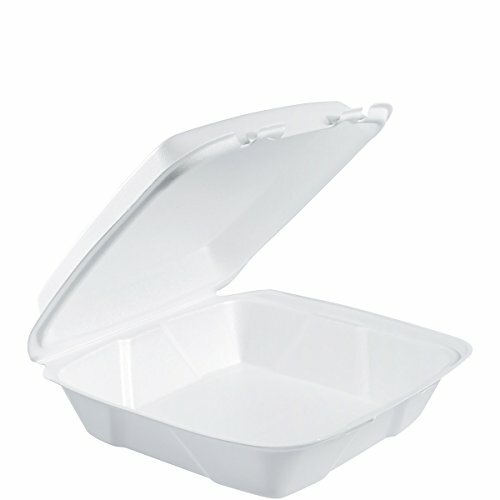 Food Container Type: Carryout Materials: Foam Colors: White Depth: 3". 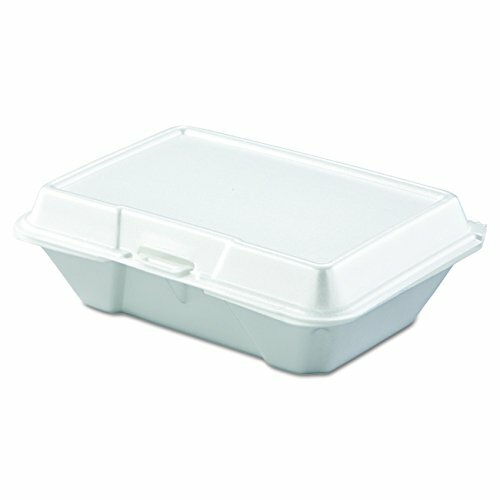 Dart 205HT2, 9x6x3-Inch Performer White Two Compartment Foam Container with a Removable Hinged Lid, Carryout Food Disposable Containers (50)Category: Dart Foam Hinged Lid"205HT2(50PCS)Dart 205HT2, 9x6x3-Inch Performer White Two Compartment Foam Container with a Removable Hinged Lid, Carryout Food Disposable Containers (50)UPC715120139843"
Dart 72HT1, 7x4x2-Inch Performer White Hot Dog Foam Container with Removable Hinged Lid, Take-Out Disposable Sandwich Snack Containers (100)Category: Dart Foam Hinged Lid"72HT1(100PCS)Dart 72HT1, 7x4x2-Inch Performer White Hot Dog Foam Container with Removable Hinged Lid, Take-Out Disposable Sandwich Snack Containers (100)UPC715120139737"
Dart 85HT1R, 8x8x3-Inch Performer White Single Compartment Foam Container with a Removable Hinged Lid, Carryout Food Disposable Containers (50)Category: Dart Foam Hinged Lid"85HT1R(50PCS)Dart 85HT1R, 8x8x3-Inch Performer White Single Compartment Foam Container with a Removable Hinged Lid, Carryout Food Disposable Containers (50)UPC715120139782"
Dart's foam hinged lid containers - featuring the Performer perforated hinge - are perfect for take out food and left-overs. 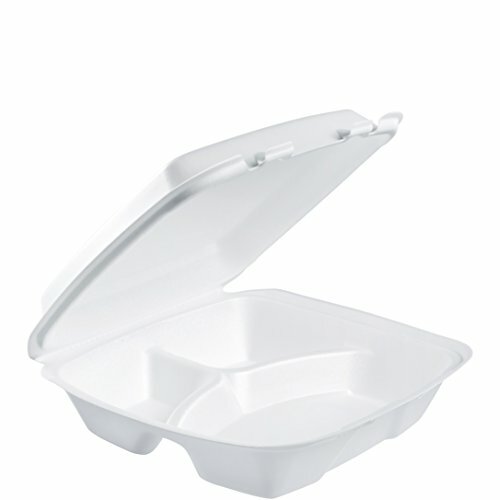 Designed for convenience and versatility. 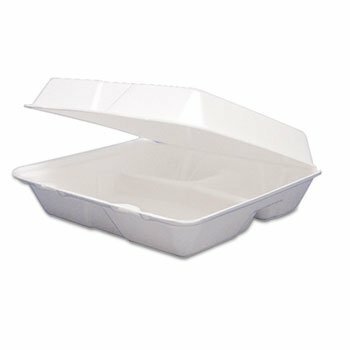 Several sizes available in black for an up-scale presentation.